Ten US healthcare workers are being evacuated from Sierra Leone after another aid worker back from the West African country had tested positive for Ebola and was being treated in hospital near Washington DC. The evacuees may have been in contact with the Ebola patient and are being flown back on non-commercial transport. The Centre for Disease Control and Prevention (CDC) said none were currently showing Ebola symptoms. They will stay in voluntary isolation for a 21-day incubation period. If any start to show symptoms they will be taken to one of three hospitals which are equipped to deal with Ebola cases. On March 13, the CDC sent a team to Sierra Leone to investigate how the healthcare worker became exposed and determine who might have been in contact with the infected person. The patient is being treated at the National Institutes of Health in Maryland. It is the 11th person with the deadly virus to be treated in the US. 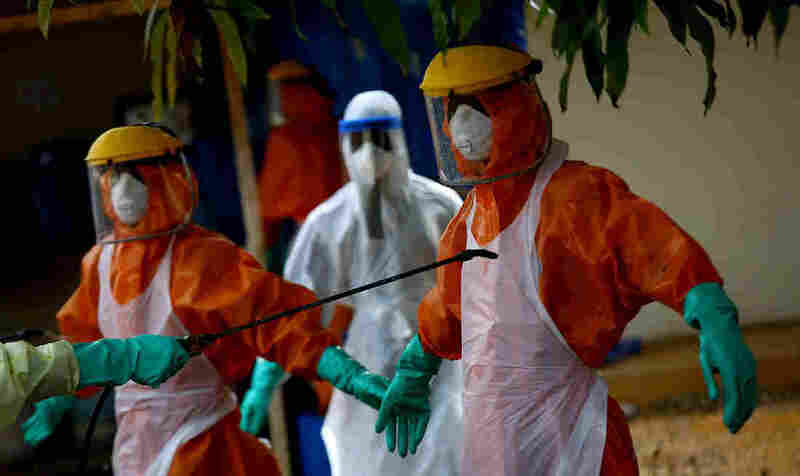 More than 10,000 people have died in the current Ebola outbreak.